There’s something for everyone here in Preston, from the arts to the outdoors. We enjoy our hometown environment. As we grow, we are finding ways of preserving the variety of wildlife that resides in the mountains, fields and reservoirs around us, the family owned businesses and the quite neighborhoods. Constructed in 1895, the Oneida Stake Academy building has a new home on the corner of Benson Park. 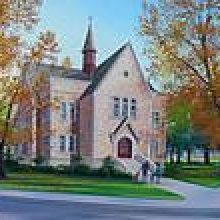 The Mormon Historical Sites Foundation and the Friends of the Academy raised the money to move the 108 year-old building to the Benson Park, approximately two blocks away from it’s current location. They are now raising money to fund the Academy’s restoration. THAT FAMOUS PRESTON NIGHT RODEO! During the first weekend of August on Thursday through Saturday, Preston presents That Famous Preston Night Rodeo. It’s a PRCA event everyone will want to see. In the Morning and Afternoon come downtown for the city-wide sidewalk sales, Craft, Vendor and Antique Fair on State Street, the Kids Festival, Live Entertainment, parade, and a Wild West Shoot Out. We have two lovely tree filled parks and RV facilities in the heart of town. There are antique shops, clothing boutiques, craft and collectable establishments, general merchandise and convenience stores. SNOWMOBILING! The Preston Hill Climb occurs every year during the Last Weekend in January. It is exciting and spectators can see some of the best snowmobilers in the country. RECREATION! Awaiting the fishermen and water-skiers who come from miles around are nine reservoirs. Peaceful campgrounds and refreshing hikes are within an easy distance. 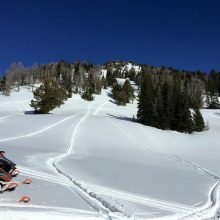 Snowmobiling is a favorite sport in the Bear River Range of the Wasatch Mountains and the Wellsville and Malad Ranges surrounding our town. The local hunting opportunities include: deer, elk, moose, pheasant, duck, geese and mountain lion. Hunting and fishing regulations and licenses are available at many of our stores. Whether you are site-seeing or hunting the wildlife is abundant. Occasionally wildlife can be seen in our backyards and fields, but mostly in the beautiful mountains and near the many waterways. 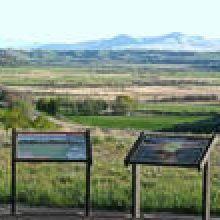 Historic sites and scenic views can also be navigated on the Pioneer Historic Byway that passes through Preston on Highway 91. We hope that you will get off I-15 and come visit our beautiful hometown of Preston. FESTIVAL OF LIGHTS! When the weather cools and the trees lining downtown turn color the whole town begins to buzz in preparation of The Festival of Lights held on the Friday and Saturday following Thanksgiving. This weekend is filled with shopping, bed racing, musical and theatrical events, music filled streets, children’s activities, and CHRISTMAS LIGHTS. The night features a lighted parade, fireworks, and a spectacular turning on of all the lights. The lights will stay up and turned on until the beginning of the new year. You’ll want to make the Festival of Lights an annual trip to Preston. This now peaceful valley is the site of one of the most tragic meetings of two cultures that the state has ever experienced. 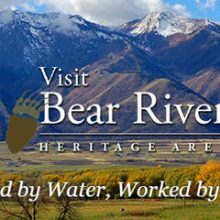 At 1:00 am on January 29, 1863, an infantry of soldiers with all their weapons moved through the snow drifts into position to attack a band of 450 Shoshoni men, women, and children that had camped along the banks of the Bear River. The troops began the attack at the crack of dawn just as they were lighting their first campfires. 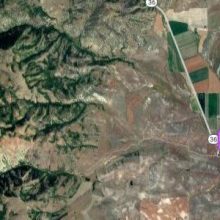 The Shoshoni lost nearly 275 people due to this cruel attack of the California Volunteers. The battle became one of the worst disasters for Native Americans in the west. 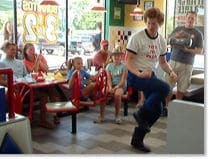 Preston is the home town of Napoleon Dynamite! Visit the sites where the movie was filmed, eat some tots and pick up a flippin’ sweet Napoleon Dynamite T-Shirt while you are there. A large outdoor swimming pool and hot tubs fed by natural hot water, including a therapeutic jetted tub. 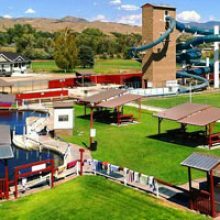 A hydrotube pool and children’s pool make this a good family outing. Located along the Bear River at the North end of Oneida Narrows Reservoir in the scenic Oneida Narrows canyon. Maple Grove features 3 large soaking tubs and 1 large therapy pool along with a variety of other amenities. 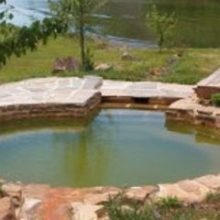 Their water is free flowing, sulfur free and odorless with temperatures ranging from 95-112. 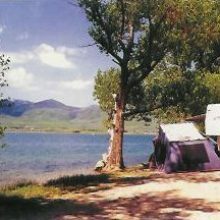 There are campsites, yurts, tents and a log cabin for lodging. They are 18 miles from Preston off of Hwy 34. Fishing reservoir located about 3 miles north of Preston. 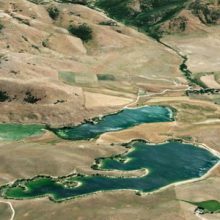 Beautiful reservoir for fishing, boating, public-lands-campground with 12 developed campsites. Fishing for Smallmouth Bass, Walleye, and Yellow Perch. The Academy is a unique 3-story Romanesque stone building, constructed in the early 1890s. It is one of three, out of 35, similar surviving buildings from the days of Mormon Church sponsored education. It was moved from Preston High School to it’s current location in 2004. 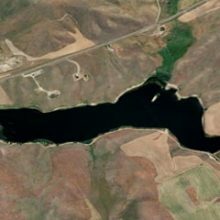 Fishing Reservoir located in Franklin County is 151.7 acres. Stocked with Rainbow Trout. 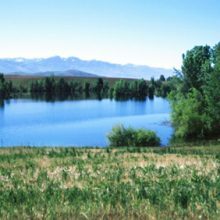 The January 29, 1863 Bear River Massacre of 250 or more Native Americans, by Colonel Patrick Connor and his troops, occurred here. It was designated a National Historic Landmark in 1990. The battle became one of the worst disasters for Native Americans in the west. 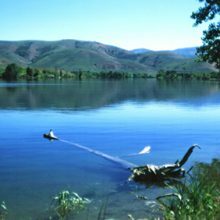 Twin Lakes is one of the most popular recreation sites in southeast Idaho located approximately 15 miles northwest of Preston. 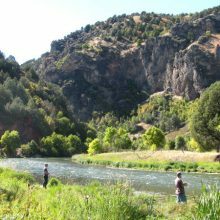 It has excellent bass and trout fishing. RV parking. 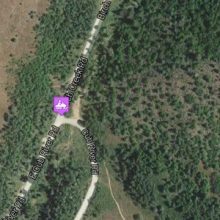 Group camping sites available. Open April thru September. 57 campsites are available. There is no water or electricity. Check their website for Quagga mussels restrictions. Highline is a 55-mile trail mostly at 9000 feet elevation between Preston and Soda Springs. 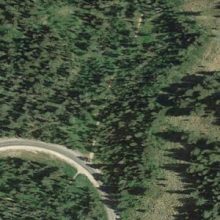 It is suitable for both hikers and bikers as well as Cross Country skiing or snowshoeing in the winter. 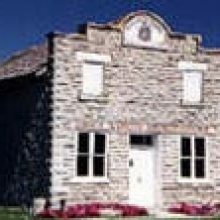 The oldest continually settled town in Idaho, Franklin was founded in 1860 by Mormon pioneers. Several original buildings stand in the historic district: the Relic Hall, the old ZCMI store, the Hatch House, and others. Weston Canyon Trailhead for snowmobiling, ATV riding and mountain biking. 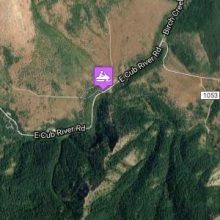 Cub River Snowmobile Trails sport over 350 miles of groomed trails to get you into the greatest high country snow this side of winter! 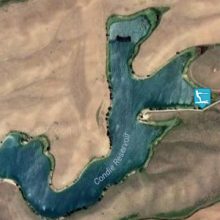 Glendale Reservoir near Preston is best suited for anglers and has the highest bass catch rates in the region. All bass under 16 inches must be released. Also present are bluegill and rainbow trout. 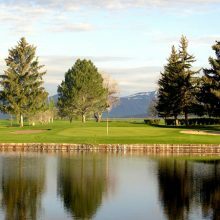 Challenging 18 hole semi-private golf course with great scenery. It is open to the public everyday of the week.